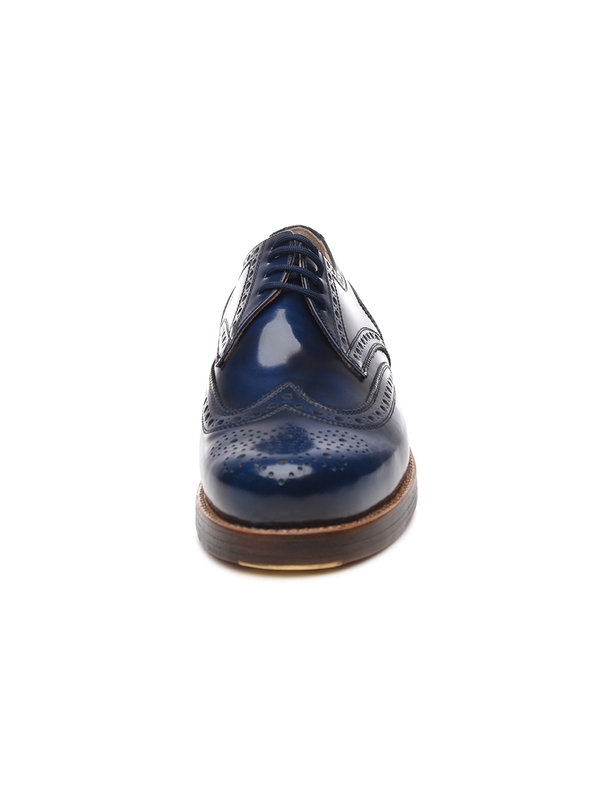 Brushed Calfskin This sophisticated calfskin has been brushed by hand through a meticulous process and is distinguished by its gleaming surface. 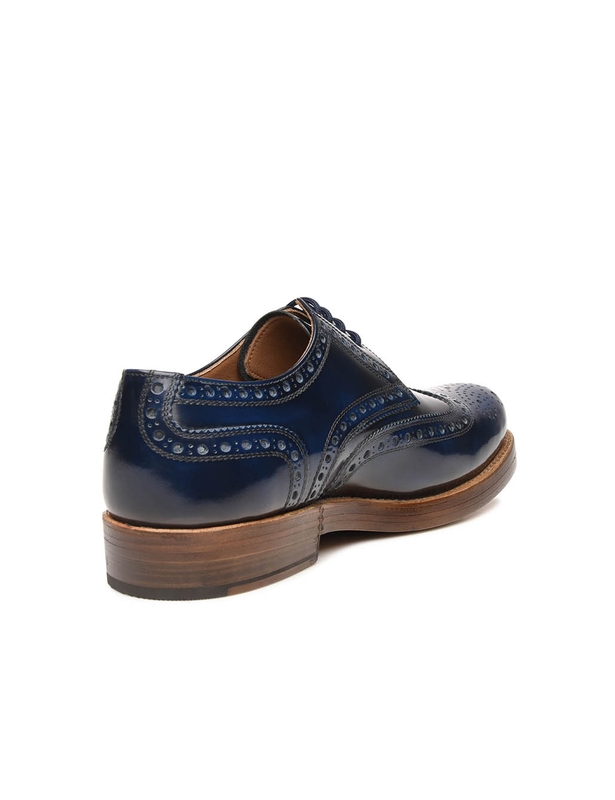 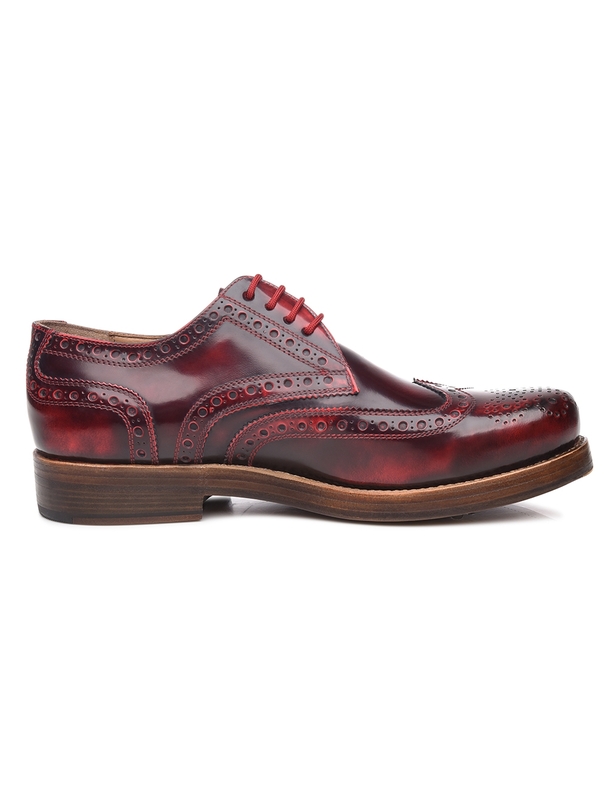 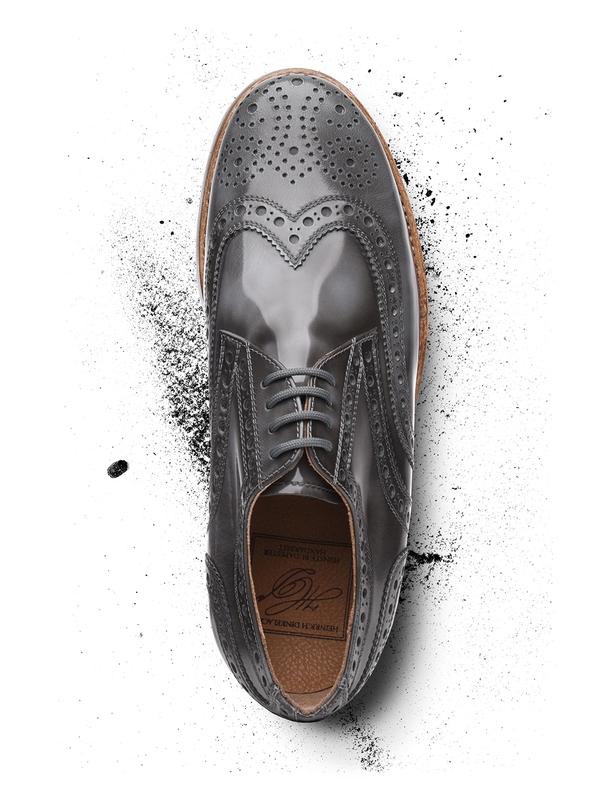 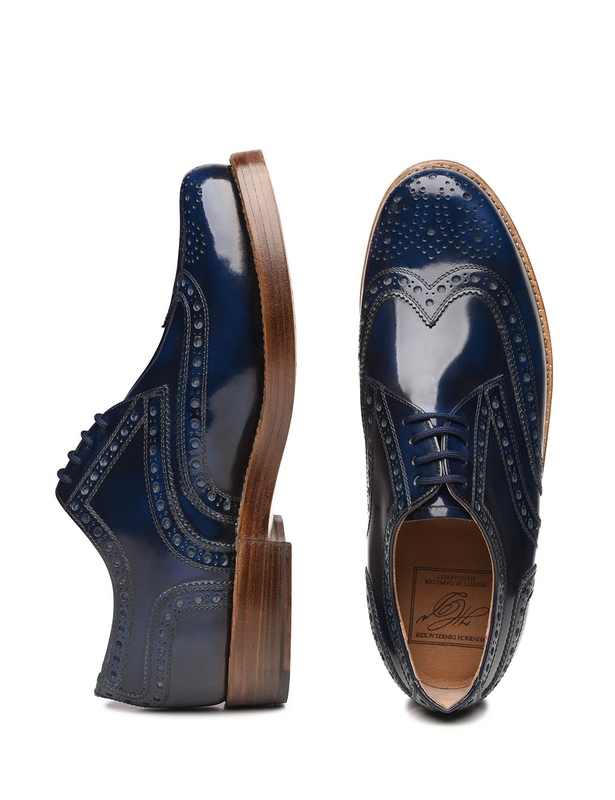 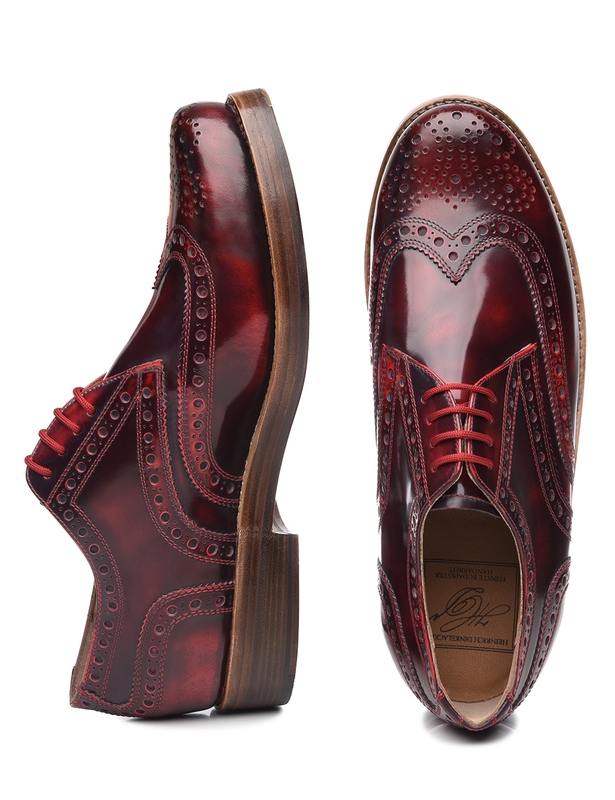 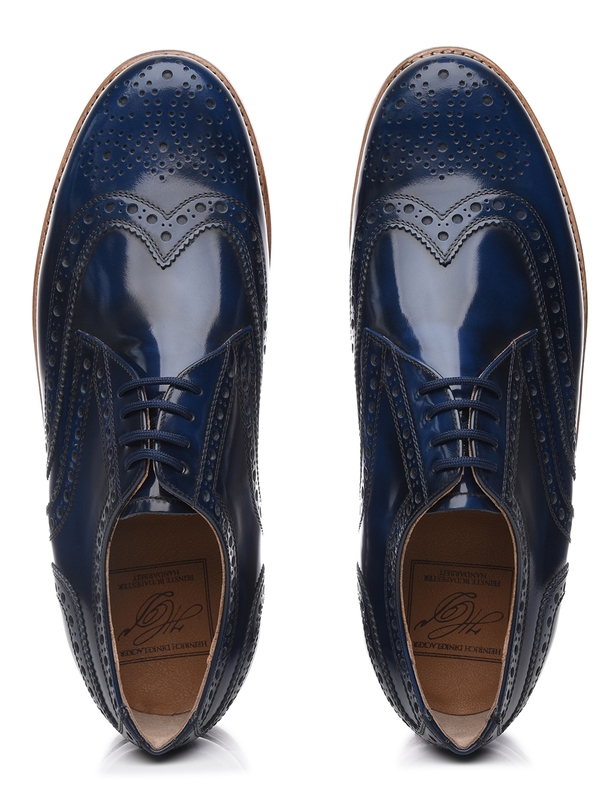 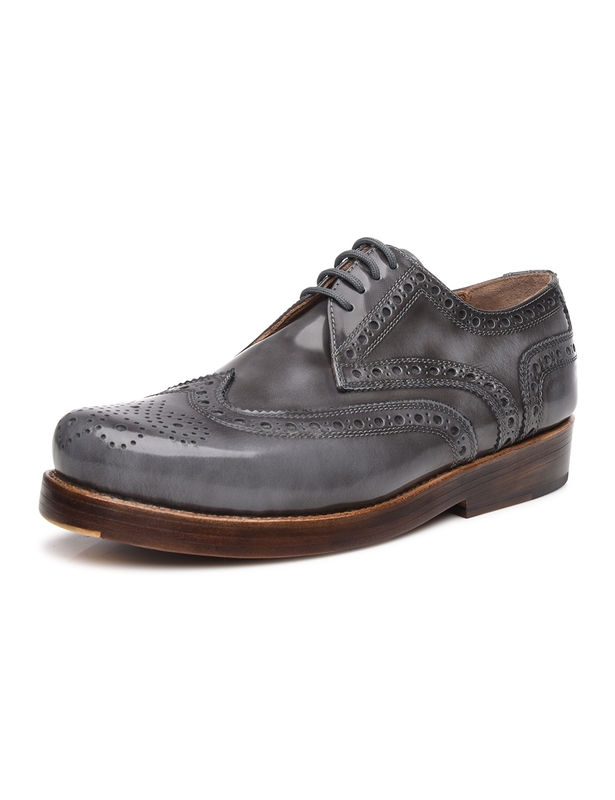 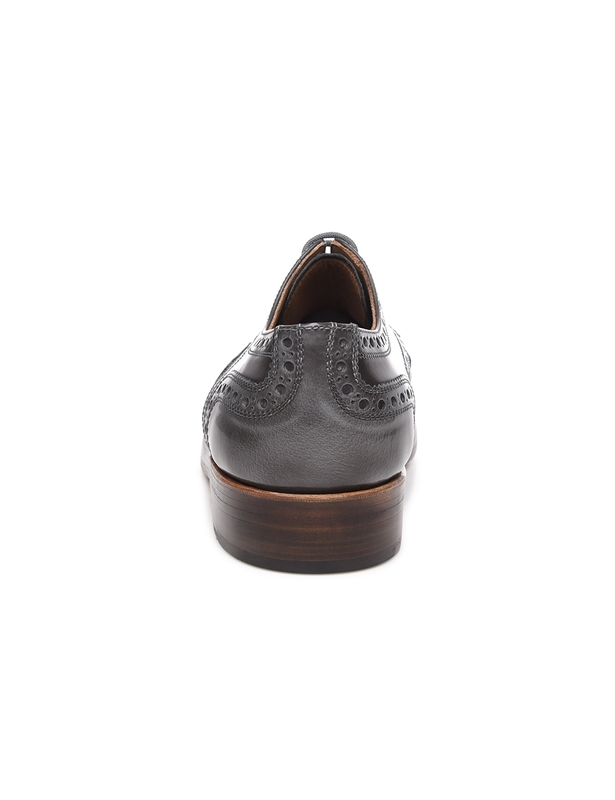 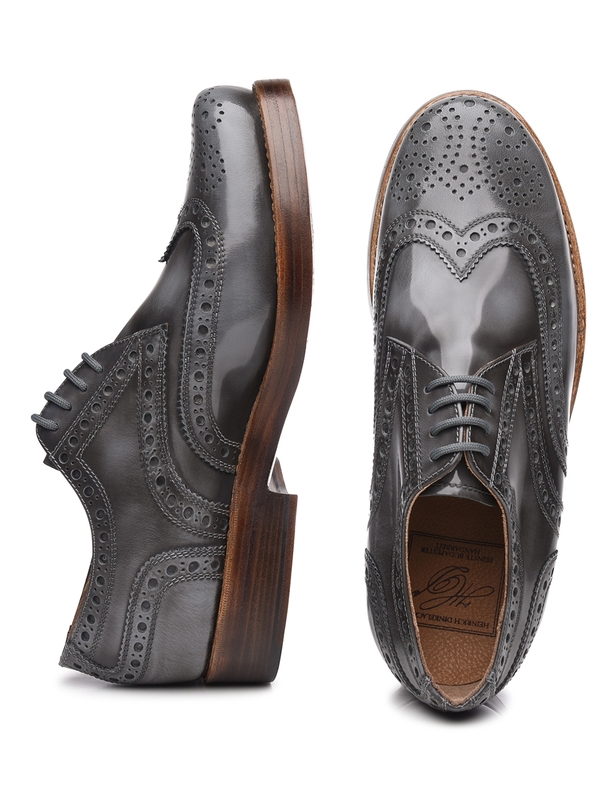 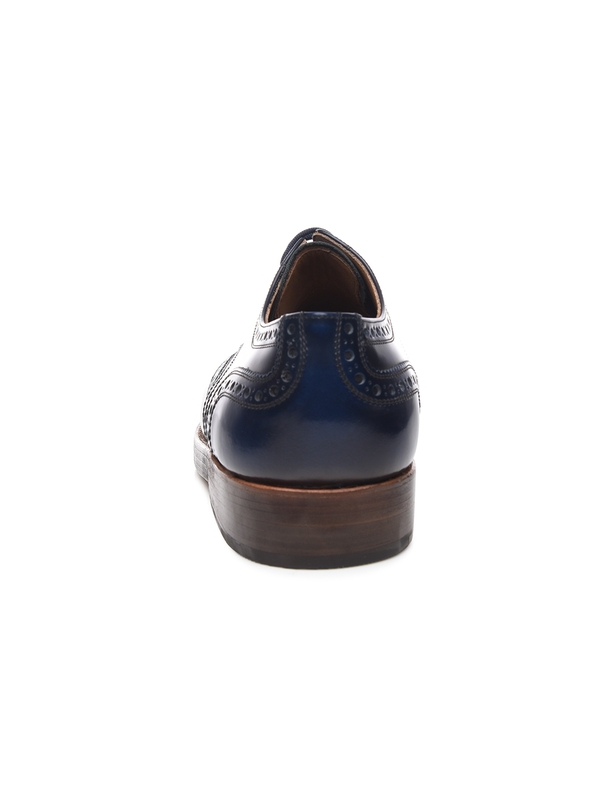 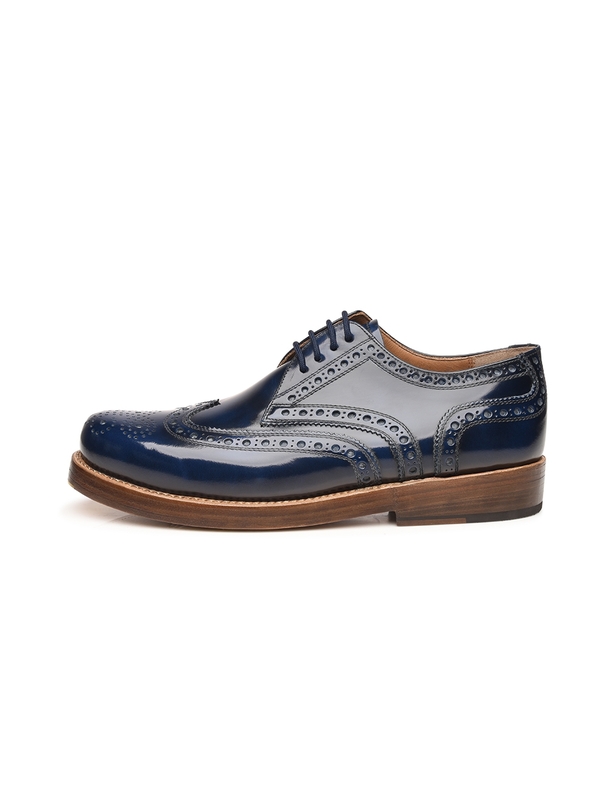 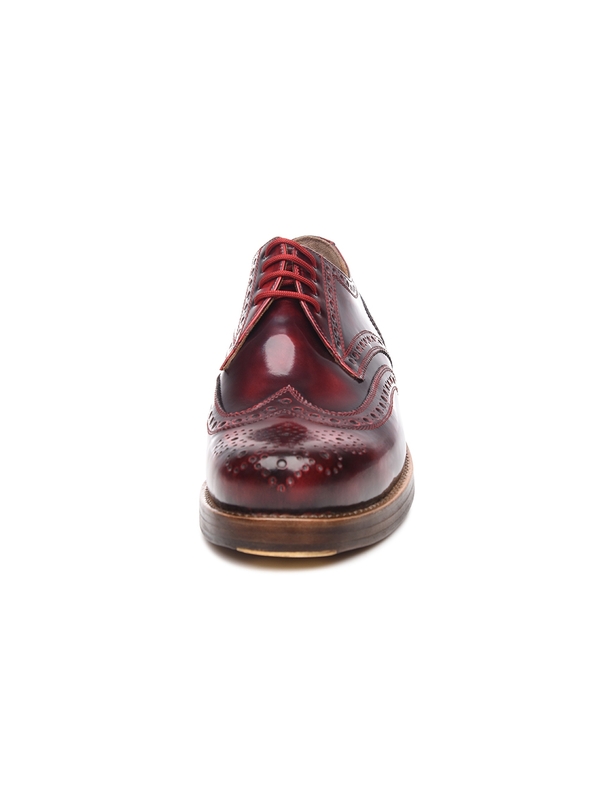 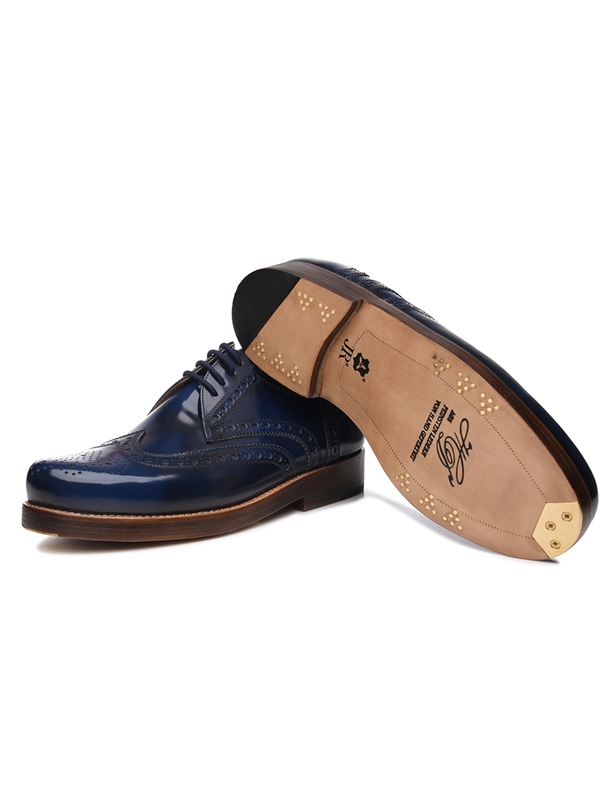 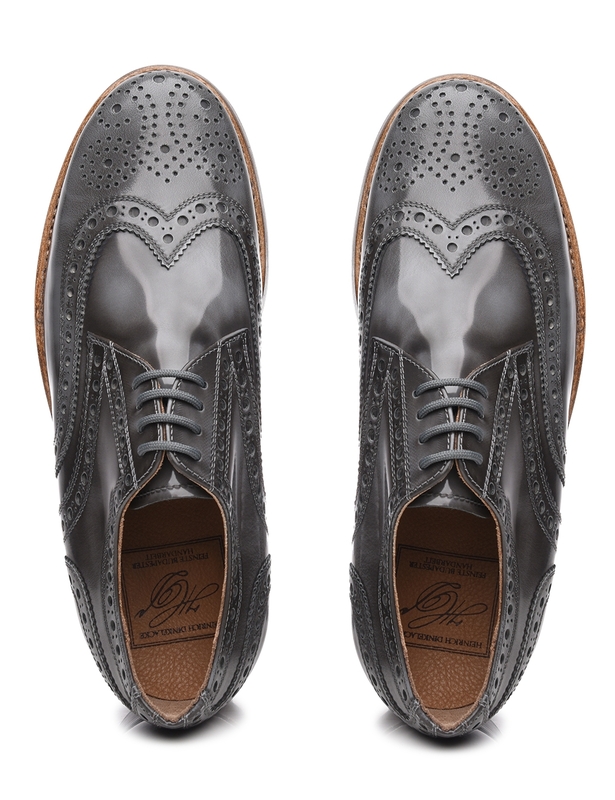 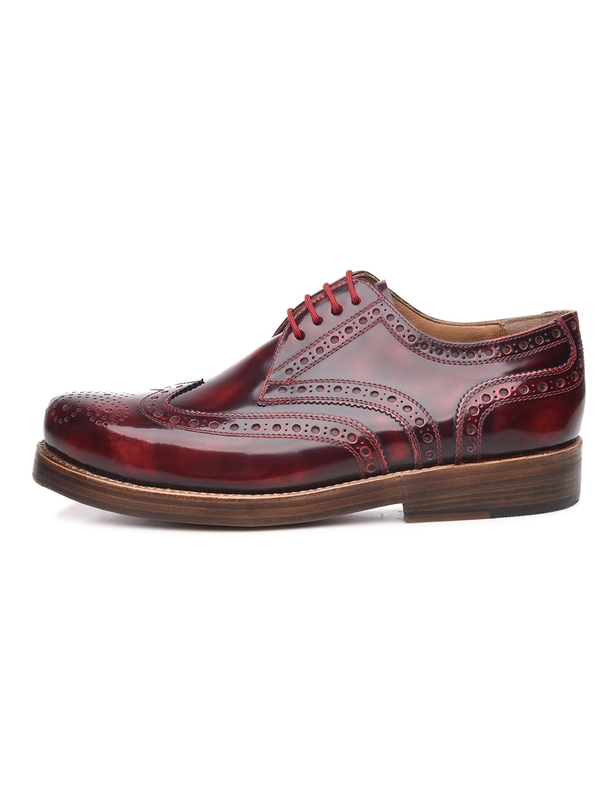 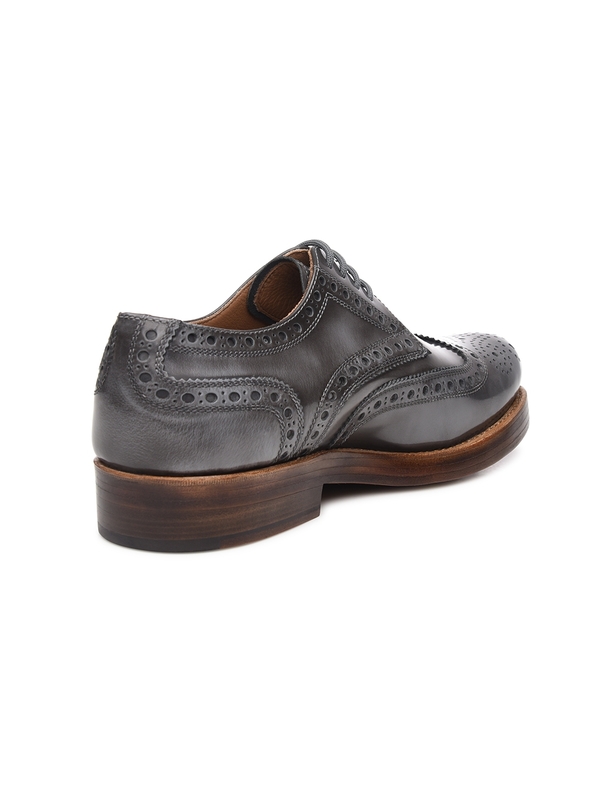 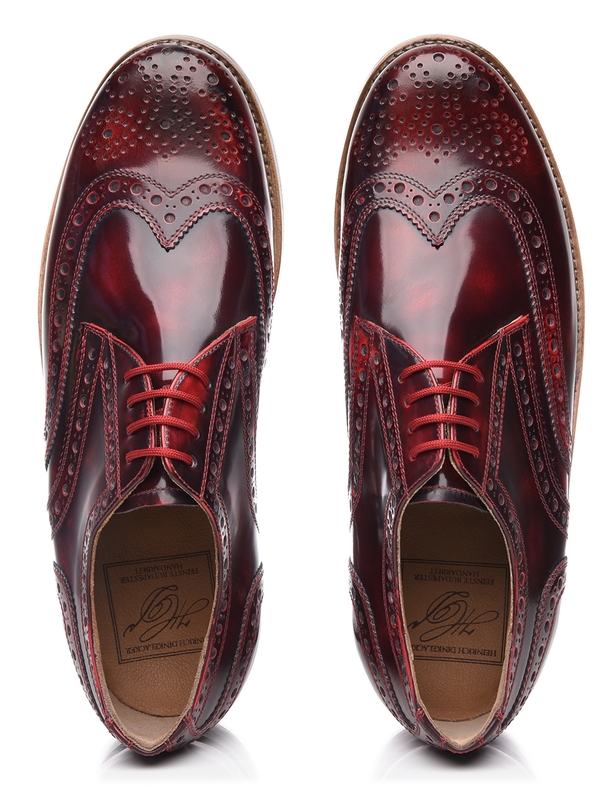 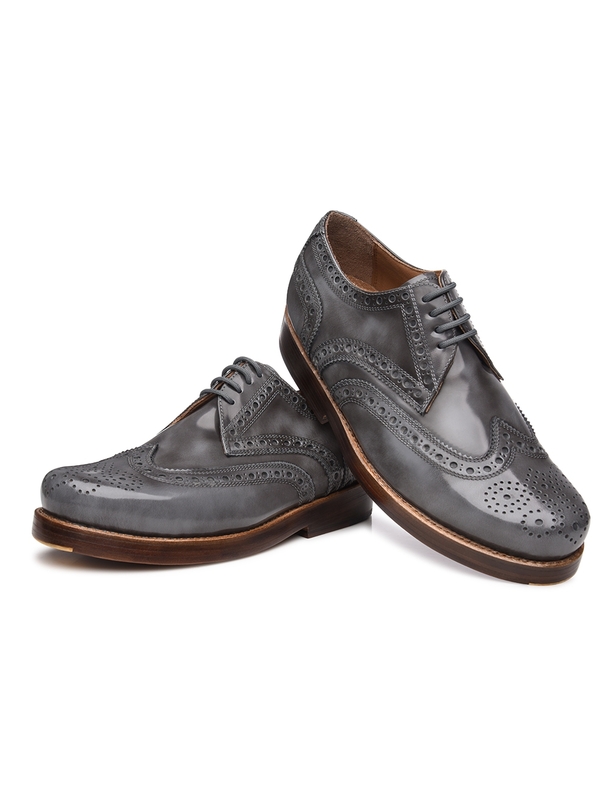 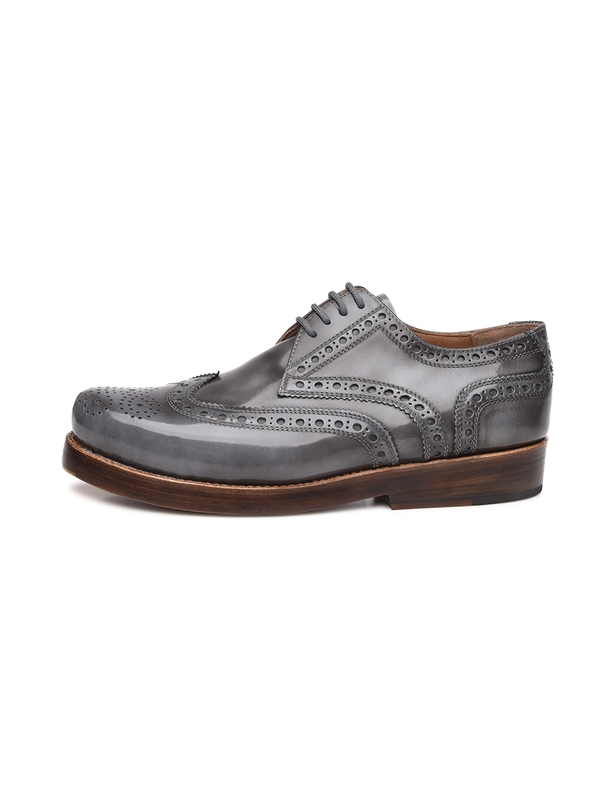 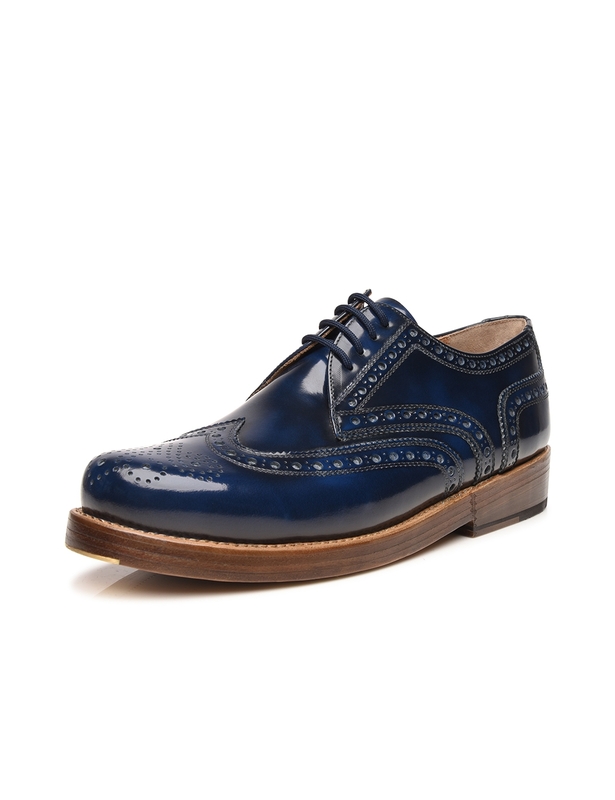 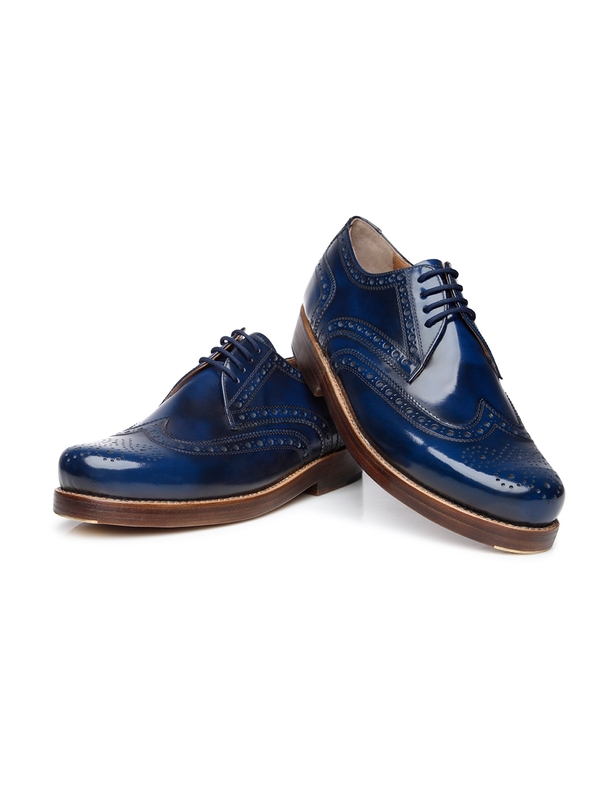 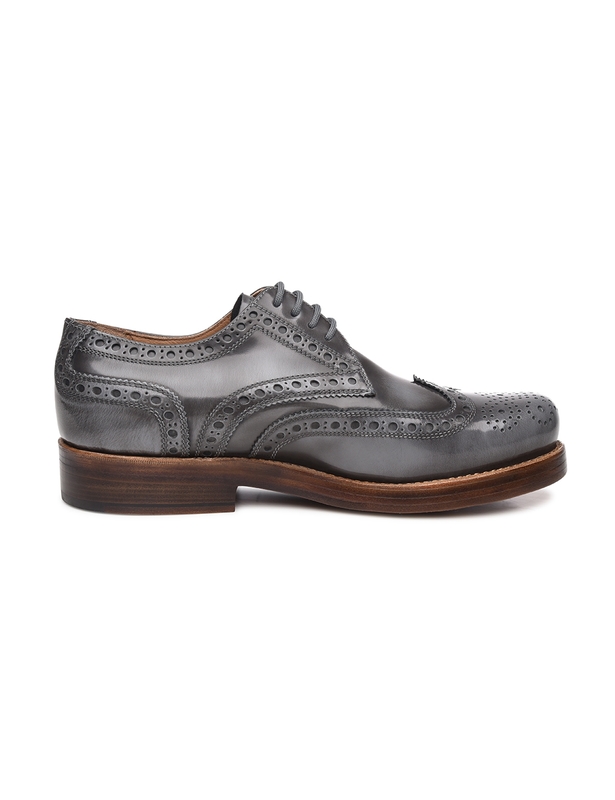 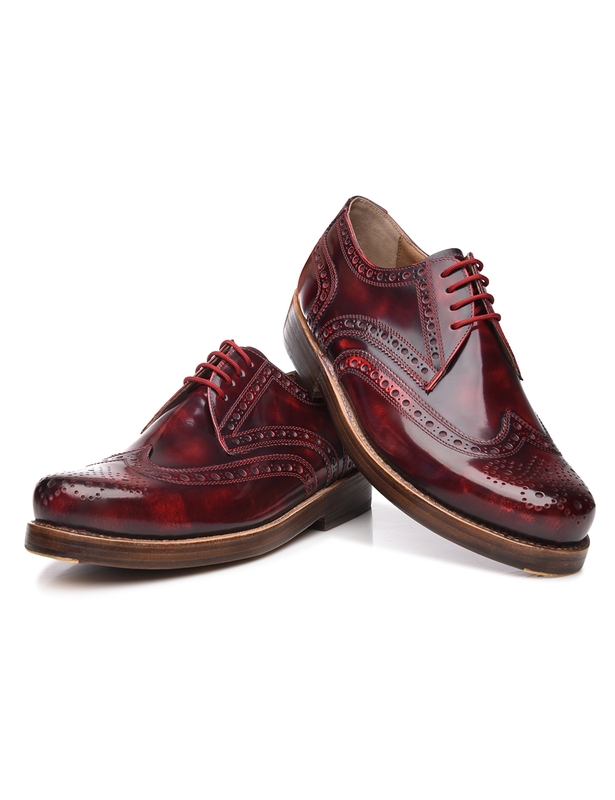 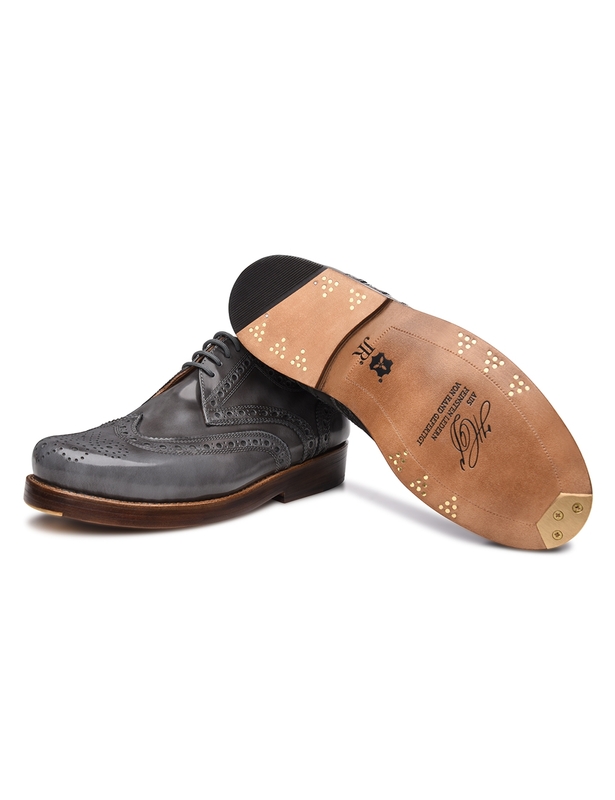 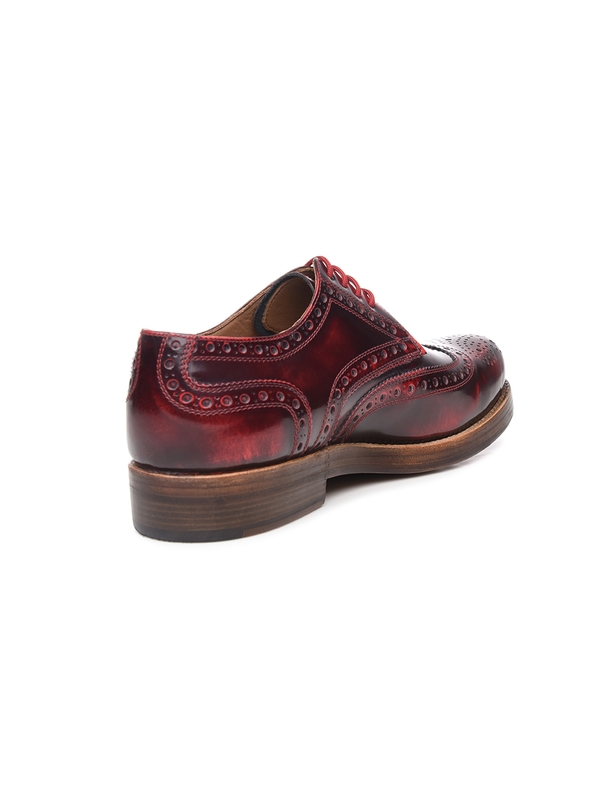 A one-of-a-kind high gloss transforms this sewn-welted full-brogue Derby into an extraordinary shoe. 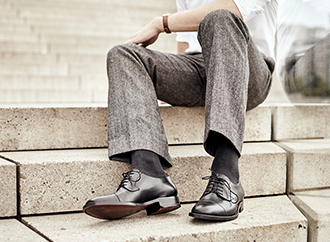 Our master cobblers meticulously brush premium calfskin by hand until it takes on a high shine. 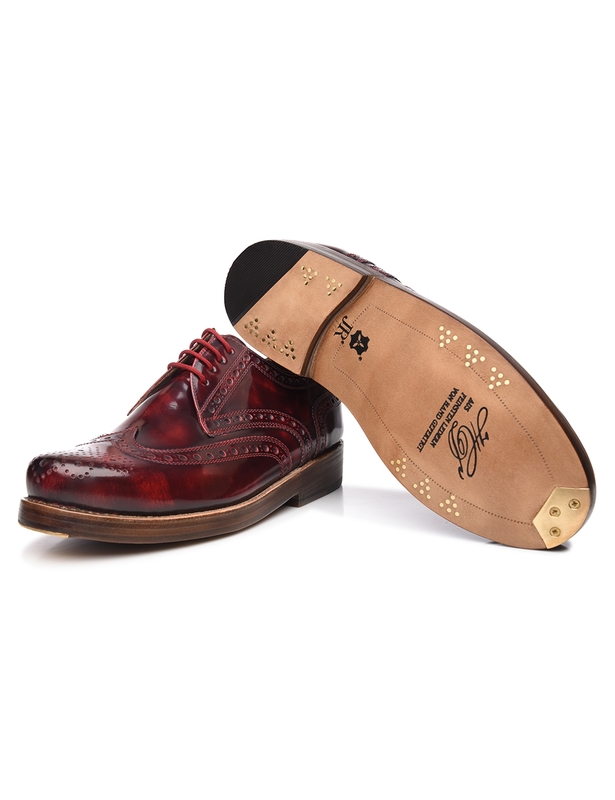 The opulent decorations along the edges of the shaft pieces as well as the lovely rosette on the toe cap underscore the dynamic appeal of this beloved men’s shoe model. 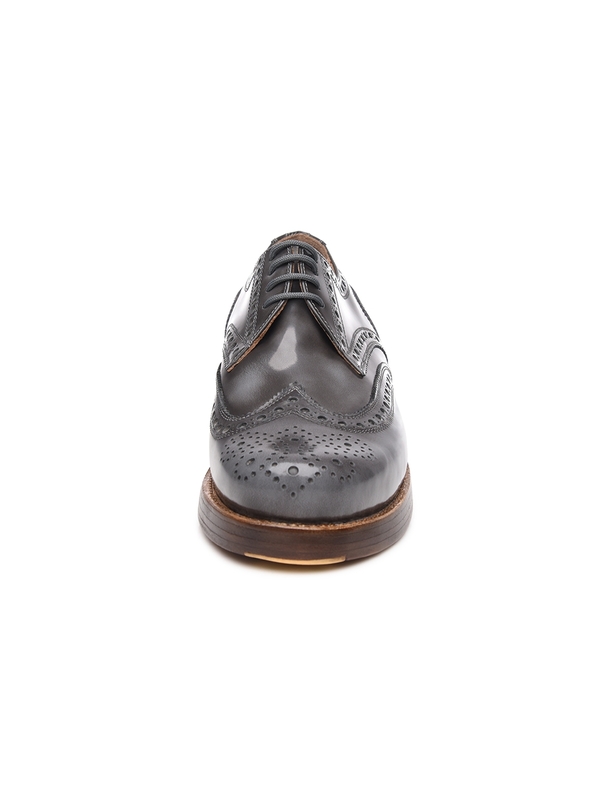 Meanwhile, the luxurious triple sole with a large brass tip is every bit as exclusive as the upper portion of the shoe. 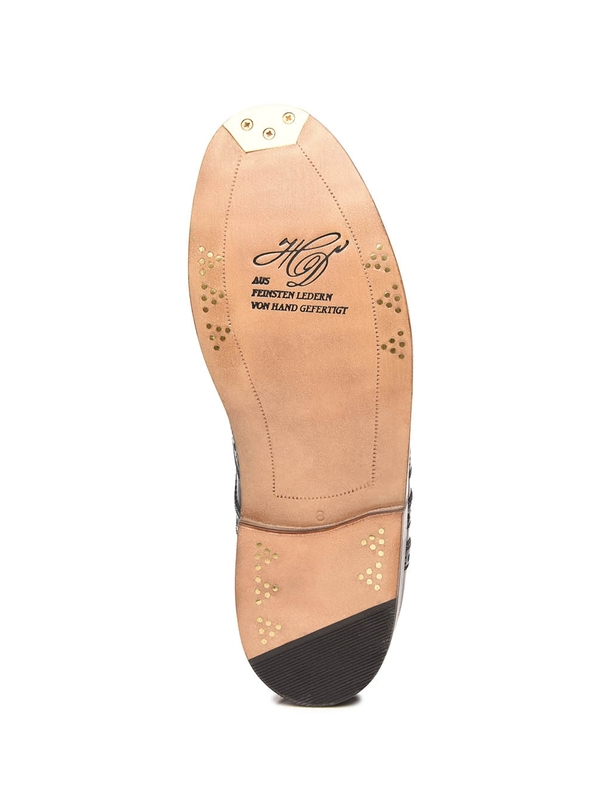 Trademark brass nails are driven into the shoe’s sole and heel by (expert) hand. 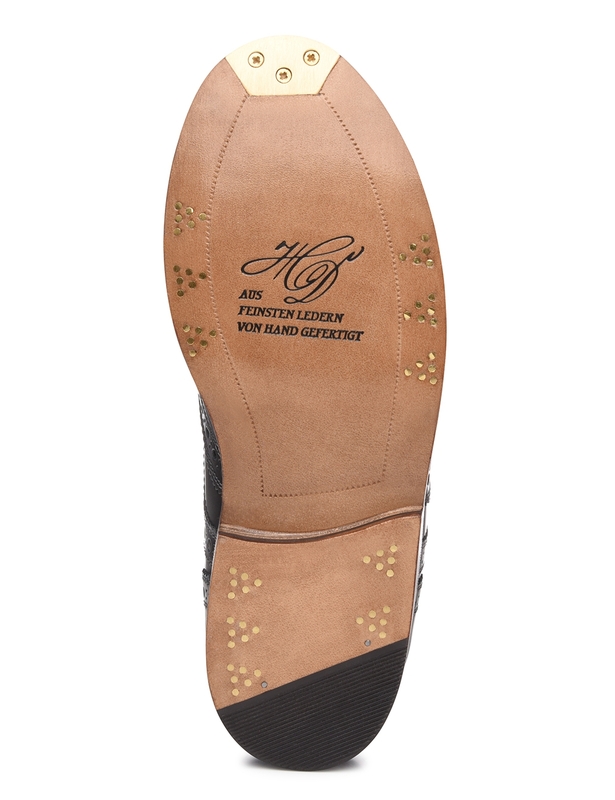 These meticulous details are not only aesthetically pleasing, but also protect the sole from wear and tear. 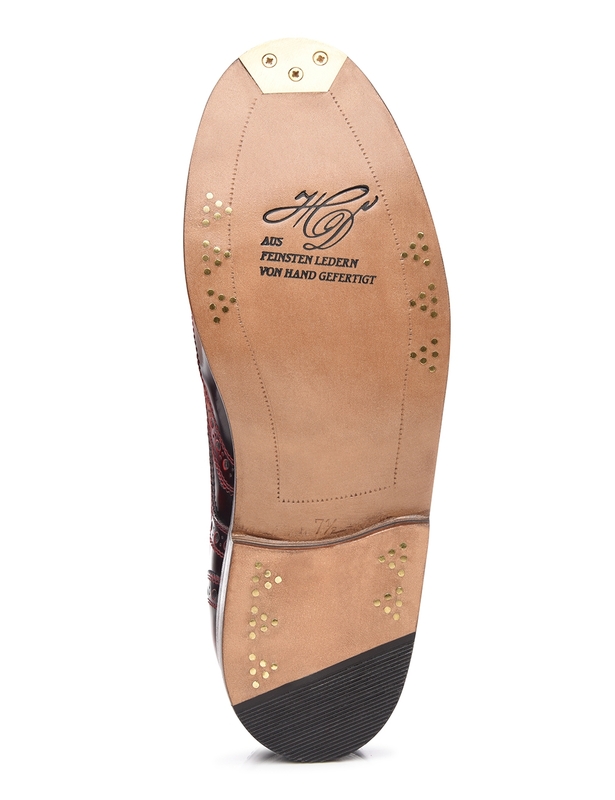 Combined with the meticulous production method and sophisticated materials used to make this shoe, this unique sole construction guarantees the utmost wearing comfort.